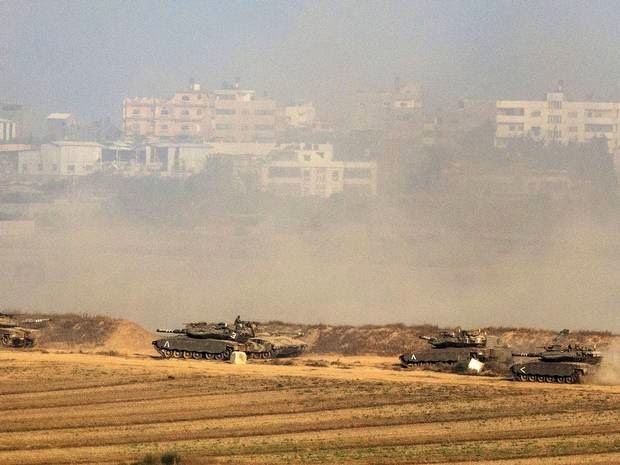 JERUSALEM (AP) — The Israeli military says 13 soldiers have been killed in fighting with Hamas militants in Gaza. The military says the soldiers were killed during its ground offensive Sunday. The deaths bring the total Israeli military casualties to 18. Two civilians have been killed by mortar and rocket attacks on Israel. Dozens of soldiers have been wounded. At least 425 Palestinians have been killed in the near two-week conflict that shows no signs of stopping.